"Despite extreme levels of atmospheric CO 2 in the Late Triassic and earliest Jurassic, and an absence of glaciers, new evidence of abundant lake-ice-rafted debris in the paleo-Arctic Junggar Basin of northwestern China indicates that freezing winter temperatures typified at least some of the forested Arctic at this time. 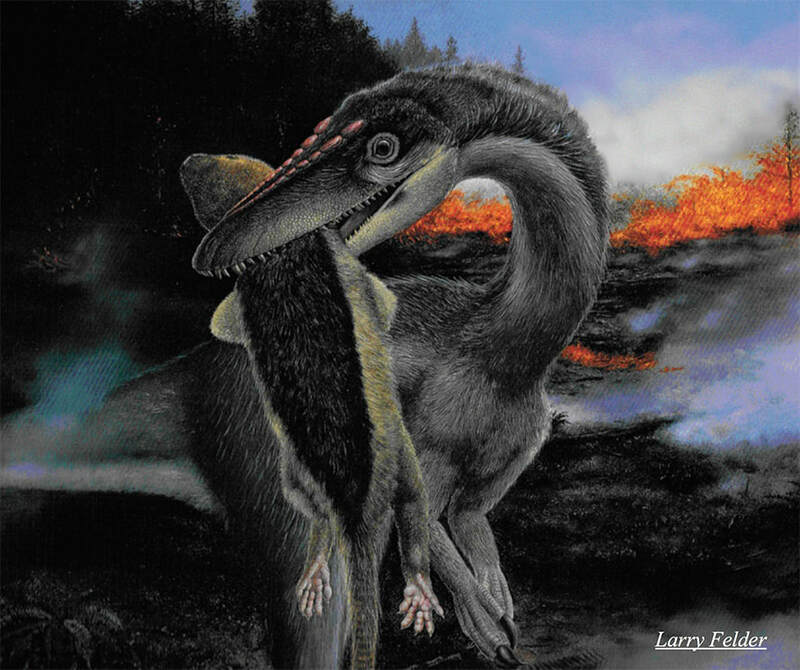 Analysis of the evolutionary history of dinosaurs shows that the dinosaurs at this time were insulated with hair-like feathers, and therefore could take advantage of the rich Arctic deciduous and evergreen vegetation, even under freezing winter conditions. The transient but intense volcanic winters that occurred during the mega-eruptions of the Central Atlantic Magmatic Province led to the mass extinction on land at the end of the Triassic that decimating all large non-dinosaurian, uninsulated continental reptiles. In contrast, the insulated dinosaurs, being already adapted to cold temperatures, not only survived but underwent a massive ecological expansion in the Jurassic, taking over regions formerly dominated by naked reptiles." Along with a cocktail hour, catered dinner, and lecture by Dr. Paul E. Olsen, entitled Arctic Ice and the Ecological Rise of Dinosaurs, we will hold our annual business meeting, including announcing the election results for the GSC Board of Directors. *NOTE* A new system is now used for registration. Current members MUST use the "Forgot my Password" function to reset a new password on the page that follows the below link.